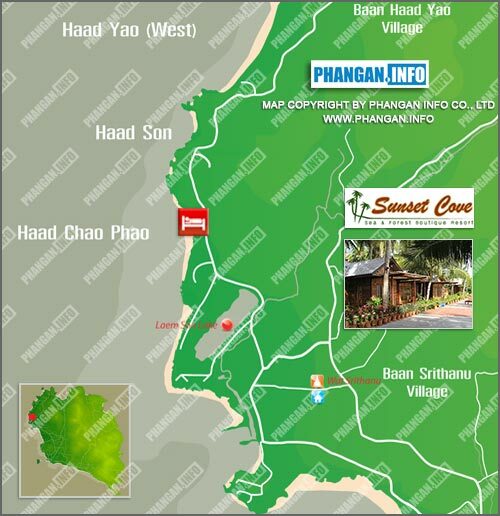 Ao Chao Phao is situated on the west coast of Koh Phangan in between Had Yao and the fishing village Sri Thanu. It is about 15 minutes drive from Thongsala the main port or 10 minutes from Chalokum on the island's newly completed concrete road network; all approaches to Ao Chao Phao are on flat surfaced roads. Car taxis regularly go to Ao Chao Phao from Thongsala.